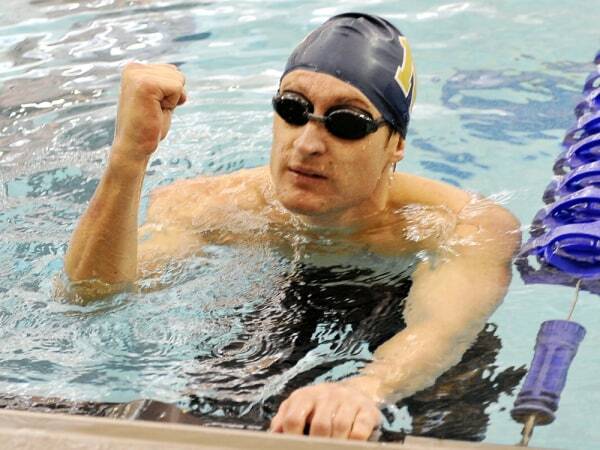 I'm proud to say that I swam with Brad while we were both attending the US Naval Academy. Brad is a class act that took his injury in stride and instead of wallowing in self-pity, went out and got a new lease on life. The 17-year-old swimming phenom from Colorado told Matt Lauer on TODAY Friday that she will make a cameo in the upcoming movie “The Internship,’’ starring Vince Vaughn and Owen Wilson. She will film the cameo in the next few months and the film is expected to be released next year, but Franklin's role remains top-secret. The five-time Olympic medalist began her senior year at Regis Jesuit High School last week, one day after making an appearance on The Tonight Show with Jay Leno. Another perk of her Olympic showing has been catching the attention of her favorite artist. Justin Bieber recently sent her a personalized care package. Bieber is playing a concert in Denver in January, and Franklin is hoping to meet him in person. “My friend actually bought me tickets for my birthday, so we’re going to go, and I think we might be able to get backstage passes hopefully,’’ she said. In the midst of all the fun, Franklin is also mulling the serious issue of whether to turn professional. Throughout the Olympics, she professed a desire to remain an amateur so that she can compete in college, but still is weighing the decision now that lucrative sponsorship and endorsement offers have rolled in. Franklin acknowledged concerns that deciding to go pro could look like she had gone back on her word. 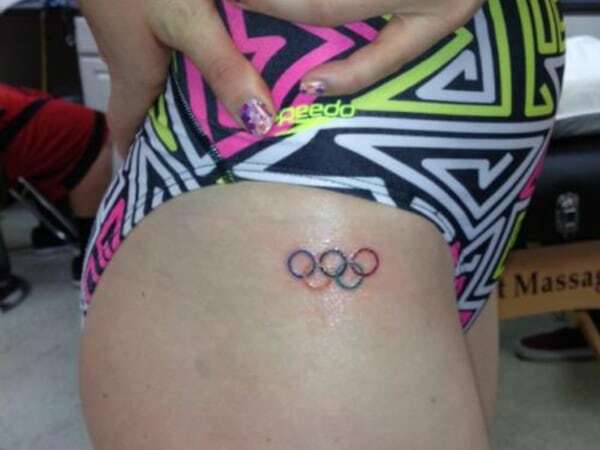 One decision she has already made is to get the Olympic rings tattooed on her right hip, which she did last week. In addition to her appearance on TODAY, Franklin, who is taking a month off from swimming post-Olympics, will participate in the Arthur Ashe Kids’ Day at the U.S. Open tennis tournament on Saturday in Queens. She may be playing doubles with a celebrity partner and anticipates looking like a fish out of water. “I’m apologizing right now to everyone that has to watch,’’ she joked. Swimmer Ryan Lochte is going home with five Olympic medals, but it's what he left behind in the pool in London that has made some joking headlines as the Olympics wind down. Lochte was in the spotlight a week ago when he admitted to TODAY special correspondent Ryan Seacrest that he occasionally pees in the pool. Then came a "Funny or Die" parody video where he took the peeing theme to hilarious heights. Lochte jokingly reiterated his stance in an interview with Matt Lauer on TODAY Friday. “I mean, sometimes you just gotta go,” he said. Luckily for the pools of the world, Lochte isn’t going anywhere near one for at least a little while after a whirlwind Olympic experience. Lochte isn’t worried that the come-down after the Olympics will lead to a crash. He has already said that he plans on making a run at a spot in the 2016 Olympics in Rio de Janeiro when he will be 32 years old. While the world waits to see him in Rio in 2016, he'll be keeping busy on dry land. He already is entertaining multiple reality TV offers, and he has plans to move to Los Angeles, which he said has been a big goal of his for a long time. He told Lauer he hopes it will help him get into fashion. Ryan Lochte: 'I'm going another four years to Rio"
Everybody pees in the pool. EveryTHING pees in the ocean. It's hilarious how uppity some people get about this topic, deflecting attention from the high likelihood that they do it also. As he gets set to finish his Olympic diary, Michael Phelps continues to insist that this will be the final chapter. The legendary swimmer has been keeping a journal in London in order to preserve his memories. There has been plenty to write about: Phelps set Olympic records last week with 18 career gold medals and 22 medals overall. Tuesday on TODAY, Phelps said that these games were his last. Since his final London race Saturday, Phelps, 27, has put down his pen down to enjoy some free time. The trip back to the United States will give him time to record his thoughts. Phelps shared headlines with rival Ryan Lochte, who gave his own dream headline to Lauer before the Olympics began: “Ryan Lochte takes over.’’ The comment put another log in Phelps' fireplace. Phelps felt less pressure this time around than he did in 2008. Bowman has coached Phelps throughout his three Olympics, and the two have developed a tight bond. Phelps was 15 years old when he qualified for the 2000 Olympics in Sydney but did not medal in any races. He watched in awe as 15-year-old Katie Ledecky got the gold on Friday in the 800-meter freestyle. OH my goodness stop asking him if he's done HE'S SAID IT OVER AND OVER TAKE A HIS WORD THE FIRST TIME!!! Interviewers are so annoying!! U.S. swimming star Ryan Lochte talks with TODAY's Matt Lauer about his plans for the 2016 Olympics in Rio de Janeiro, his rivalry with Michael Phelps and his feelings on his overall performance in London. The diamond grill and Speedo aren't being retired just yet. Get ready, Rio de Janeiro, because Ryan Lochte plans to be coming your way in four years. After winning two gold medals, two silvers and a bronze in London, the U.S. swimming star told Matt Lauer on TODAY Friday that he has his sights set on a berth in the 2016 Olympics in Brazil. 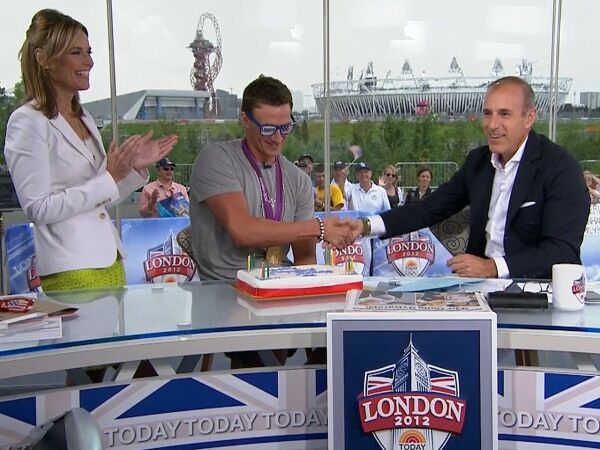 Lochte also celebrated his 28th birthday on the set of TODAY with a pool-shaped cake and his signature sunglasses. Star swimmer Ryan Lochte celebrates his 28th birthday in style on TODAY with Savannah Guthrie, Matt Lauer, and a pool-shaped cake. Lochte will turn 32 during the 2016 Olympics, so he will be a grizzled veteran competing mostly against swimmers in their early 20s. 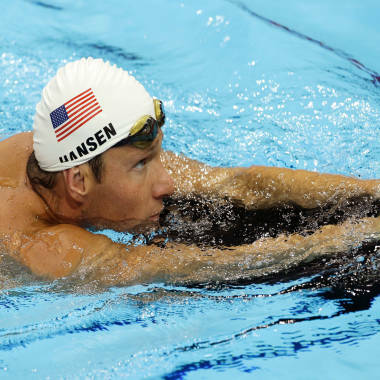 His main rival, Olympic legend Michael Phelps, is a year younger than him at 27. Phelps has already announced that London will be the final Olympics in his brilliant career, but Lochte wants to keep competing. Lochte came in second behind Phelps in the 200-meter individual medley on Thursday, his final duel in the pool with his rival. The pair split in two head-to-head races in London, with Lochte blasting to a three-second victory in the 400-meter individual medley before Phelps beat him on Thursday to bring his Olympic record to 16 gold medals and 20 overall. Only 31 minutes after he won a bronze medal in the 200-meter backstroke on Thursday, Lochte had to regroup for his showdown in the 200 individual medley with Phelps. Phelps got out ahead of him early with a dominant butterfly leg and did not relinquish the lead. 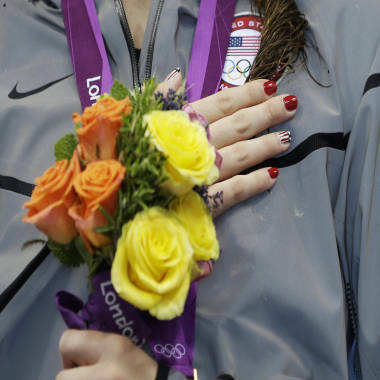 The gold medal-winning swimmer turned 28 on Friday. The Lochte-Phelps rivalry was one of the main storylines heading into London, with many swimming experts predicting this would be Lochte’s time to shine after being in the shadow of Phelps during the 2008 Olympics. Lochte won five medals to bring his career total to 11 medals. Lochte also dismissed the notion that his bulked-up physique had anything to do with his inability to dominate the way many had predicted he would. Leading up to London, he had been doing strongman workouts like flipping giant tires. 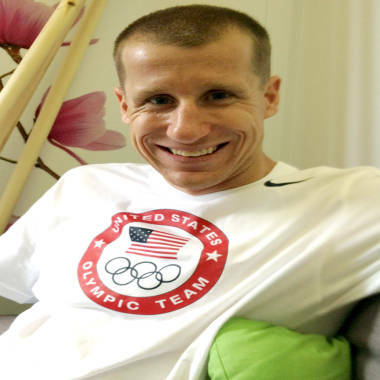 Leading up to London, Lochte was asked by Lauer what headline he would write about the Olympics and he replied, “Lochte takes over.’’ Now that the competition is over, he isn't sure how he would sum up his performance. 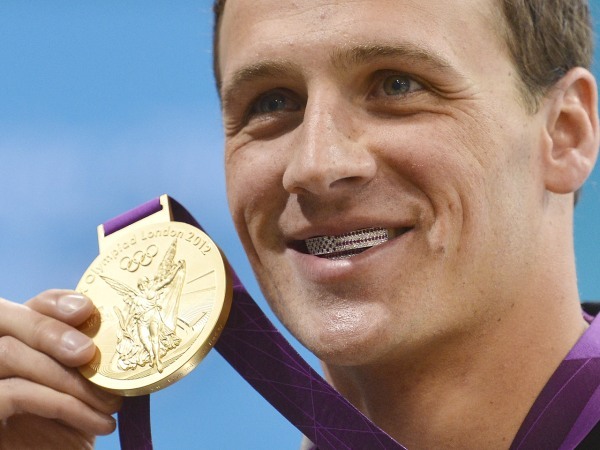 I find that stupid diamond grill of Lochte's to be annoying and it make him look like some clown gangsta wanna be. He can hang on for another four years and try and make the Rio team, but he will be facing stiff competition from the younger swimmers coming up. If Ryan Lochte could have his way, Thursday’s swimming showdown with Michael Phelps would start with Lil’ Wayne blaring out of the loudspeakers, move to a stare down with Phelps and end with Lochte winning in world-record time. Lochte will gladly settle for at least the last part becoming reality. Before gearing up to go head-to-head with Phelps for the final time in the Olympics during the 200-meter individual medley, Lochte was asked by Matt Lauer on TODAY Thursday to describe his perfect race. Phelps is trying to add to his Olympic-record haul of 19 career medals, while Lochte is trying to take home his third gold medal in one of the most-anticipated events in London. In Lochte’s mind, he would be off the blocks quickly and neck-and-neck with Phelps before a big finish. 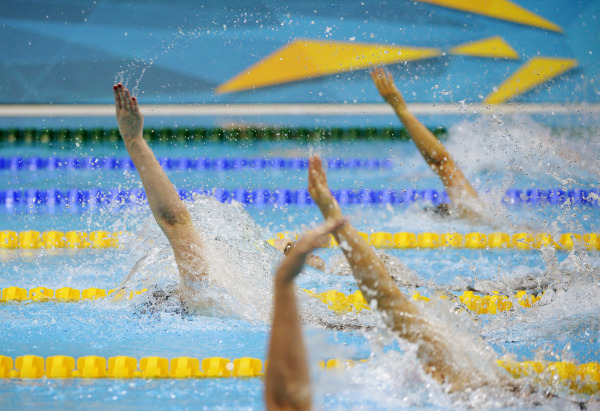 Lochte’s imagined finish would then include muscle flexing and bellowing in triumph. He made no mention of a diamond grill in his mouth on the podium, but that's almost a sure bet as well. “To me, that’s the best way I can put a race,’’ he said. A collection of the winning smiles and champion physiques of Olympic hopefuls from America and other nations. As worldwide media reported Tuesday that Michael Phelps had just become the most decorated Olympian ever, he was busy giving a quick heads-up to a group who still had no idea — his own teammates. Conor Dwyer and Ricky Berens, who swam second and third, respectively, after Ryan Lochte started the 4x200 freestyle relay race that would give Phelps the record, told Matt Lauer on TODAY Wednesday they were in the dark about Phelps' imminent achievement. The medal record was previously held by Soviet gymnast Larisa Latynina. The win Tuesday also marked a repeat for the Americans, who won the gold in that same relay in 2008. 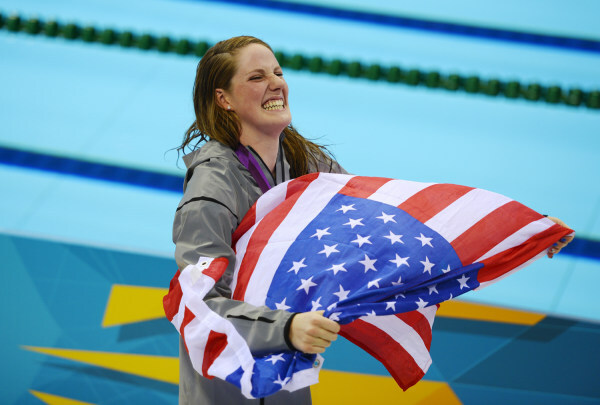 Phelps, Lochte and Berens were part of that Beijing team, while Dwyer is a first-time Olympian. Once Team USA brought home the win, it was time for a pig-out. After the race, Berens tweeted, “Finally!!!! The end of season celebration dinner! mcdonalds!! Yes all for me!” He included a picture of a tray loaded with a Big Mac, two quarter pounders, two cartons of fries, six McNuggets and a milk shake. Dwyer got in on the action, too, as they obliterated their diets together. The two continued to ignore their diet on TODAY Wednesday when they piled down British cheeses prepared by celebrity chef Giada De Laurentiis. Olympic swimming gold medalists Conor Dwyer and Ricky Berens chow down on some British cheese prepared by celebrity chef Giada De Laurentiis on TODAY Wednesday. It's been a hectic time for Berens, who has spent more time with that McDonald’s tray than with his girlfriend, fellow U.S. swimmer Rebecca Soni. With a silver in the 100-meter breaststroke under her belt, Soni will race Thursday in the 200 breaststroke. Saturday, she'll swim the 4x100 medley relay. “I’ve seen her for a total of like 30 seconds,’’ Berens said. Oddly, no one questioned his use of drugs in the last olympics but many people did the Chinese women..no one questioned the English teen that in 2008 came from nowhere to get 2 golds and set record paces..
Helen Johns Carroll dives into the pool in the second leg of the winning 400-meter relay at the 1932 Olympics in Los Angeles. 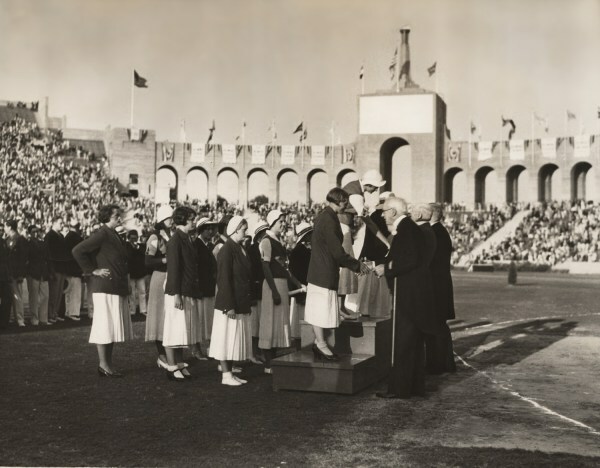 Helen Johns Carroll’s Olympic gold medal and her memories may each be 80 years old, but both have been carefully preserved in the generations since her once-in-a-lifetime experience in Los Angeles in 1932. Carroll, 97, is believed to be the second-oldest living female American gold medalist, and a simple glimpse of today’s Olympics is all it takes for her to be transported back to that memorable time. 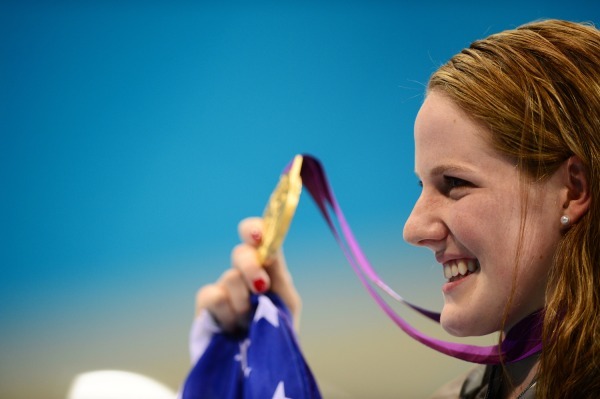 Just like current phenom Missy Franklin, Helen Johns, as she was known then, was only 17 years old when she represented the United States in swimming. She swam the second leg on the medal-winning 400 freestyle relay team in 1932, earning a gold medal that is currently under lock and key for safekeeping at a local bank near her home in Sumter, S.C. Track athlete and 1932 4x100 gold medalist Evelyn Furtsch Ojeda, 98, is believed to be the oldest living American female gold medalist. In what is being called "The Year of the Woman" in the London Olympics, Carroll savors her role as one of the pioneers and is proud of how far women have come in the Olympic movement. For the first time in history, every participating nation has at least one female athlete on the team, and for the first time, there are more females than males on Team USA. And now, Teri McKeever has made waves as the first female head coach of the U.S. women's swim team. “I love anything that means women are advancing in interest or popularity and setting a good example for people,’’ Carroll said. 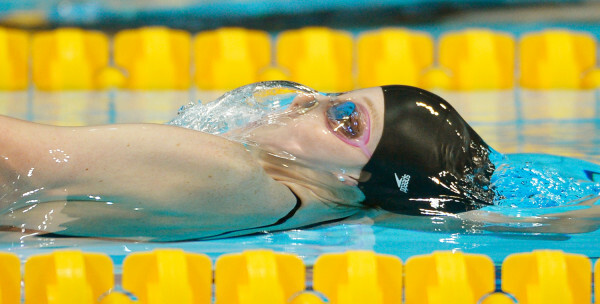 Johns was taught swimming by her father while growing up in Medford, Mass., a suburb of Boston. She trained primarily in the ocean because there were few pools in the area, and had only been formally coached for one year before she qualified for the Olympics in the 400-meter relay at the trials in Jones Beach, N.Y., in July of 1932. Carroll wasn’t even allowed to return home before she was whisked away on a train from New York's Pennsylvania Station, which would take her and her fellow qualifiers all the way to Los Angeles, picking up other Olympians along the way across the country. One of the train’s passengers was the boisterous Babe Didrikson Zaharias, who is widely considered one of the greatest all-around athletes of the 20th century. She would go on to win two gold medals and a silver in track and field that year in Los Angeles. “People said she was very conceited about the things she could do, but I didn’t find it was at all objectionable and out of place for her because she would tell you about what she could do and then she would go right out and show you,’’ Carroll said. The country was mired in the Great Depression at the time, and Carroll can recall giving some of her extra dresses away to less-fortunate teammates. Her father was not able to see her compete because there was no way he could leave his business on the docks in Boston. The signs of poverty were also apparent outside the team’s hotel in downtown Los Angeles. Helen Johns Carroll (wearing a white hat in the first row behind podium) waits to receive her gold medal at the 1932 Olympics. 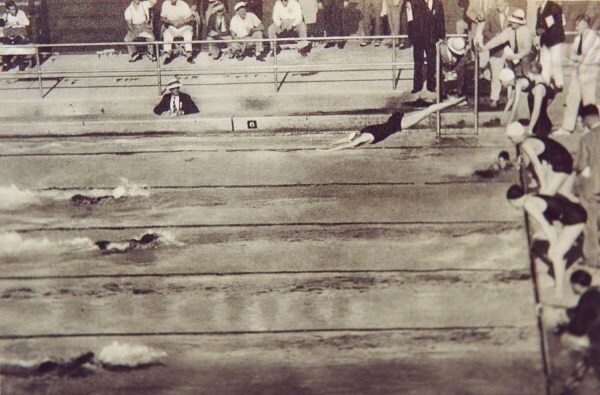 While it’s hard to imagine in today’s world of teams training closely together and competing internationally for years leading up to the Olympics, Carroll didn’t know anything about her competition or even about her three relay teammates – Helene Madison, Josephine McKim and Eleanor Saville. There were some familiar faces, however, as her small hometown of Medford surprisingly produced two other Olympians in Carroll’s high school classmate, track sprinter Mary Carew, along with distance runner Jimmy Henigan. Her swimming teammate, McKim, brought an element of glamour to the team. She was from Los Angeles and was dating Joel McCrea, one of the big movie stars of the 1930s. 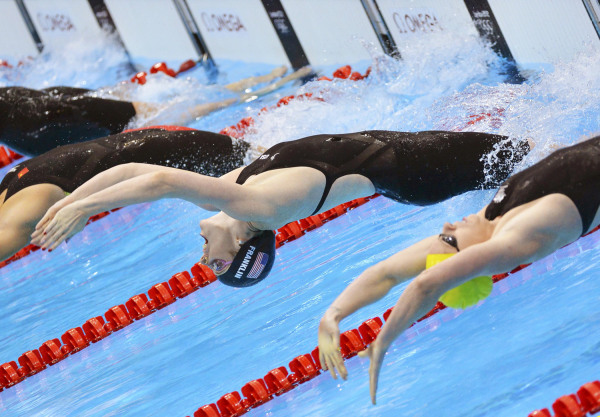 Carroll and her teammates breezed to a gold medal in the relay, beating the team from the Netherlands by nearly nine seconds. Carroll can still remember wearing her parade dress, hat and shoes as the gold medal was draped around her neck. Despite being held in the United States, the medal ceremony was conducted in French because they were the ones who organized the first modern Olympic Games in 1896. “As they addressed us, they would say ‘Champion of the Olympics’ in French, and then they went on and on and I couldn’t understand what they were saying, but I’m sure it was very complimentary,’’ Carroll said. When Carroll returned to Medford with her gold medal, she was greeted by the mayor and a host of neighbors in celebration. Los Angeles was her only Olympics as she was focused on her studies at Brown University by the time the 1936 Games in Berlin rolled around. Carroll retired from her career as a special education teacher in the Sumter school district in 1980, but she maintained her Olympic connection, carrying the torch for a stretch on its way to the 1996 Olympics in Atlanta. Swimmer Franklin: I'll win to 'shine some light' on Colo.
A nice story but what a misleading headline! Is someone going to interview Evelyn Ojeda?